Many regular readers will recall HMB’s interview with fabulous photographer Lesley Bryce from a while back. Needless to say, we’re fans of her work and are excited to announce a new headshot special she’s offering exclusively for our readership which is 50% off her regular rates!! 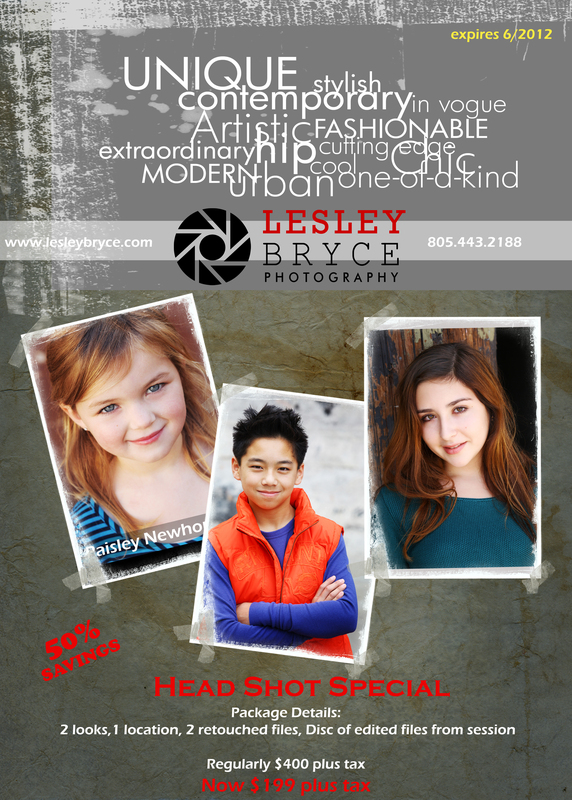 This is perfect timing for those of you who may need new photos of the kidlets for pilot season. All we can say is – Hurry!! And tell her Hollywood Mom Blog sent you.